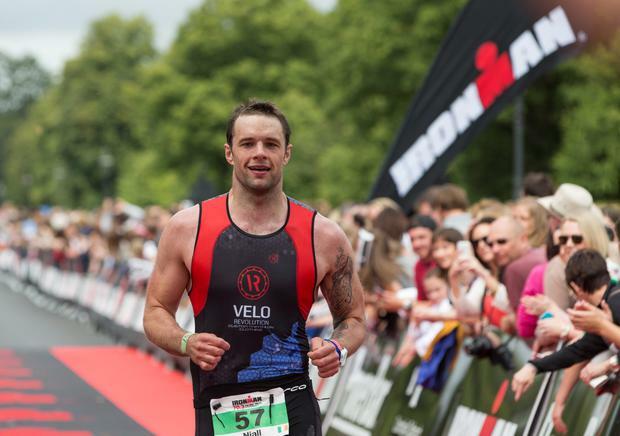 Music star Bressie knew the Ironman triathlon wasn't going to be a stroll in the park - but he definitely didn't expect getting kicked in the head for his troubles. 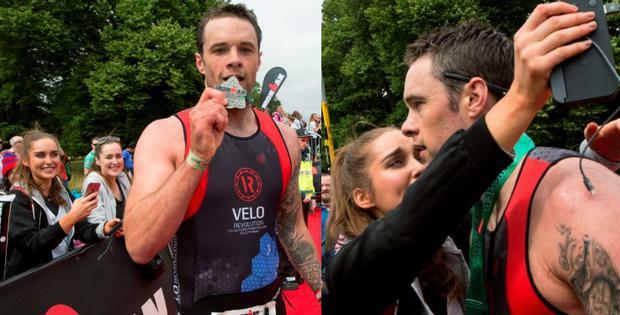 The Voice of Ireland star took part in yesterday's inaugural Dublin Ironman 70.3 endurance test which saw some 2,500 athletes brave the icy waters off Dun Laoghaire before cycling their way through 90km of the city's streets and finishing with an agonising 20km run in the Phoenix Park. 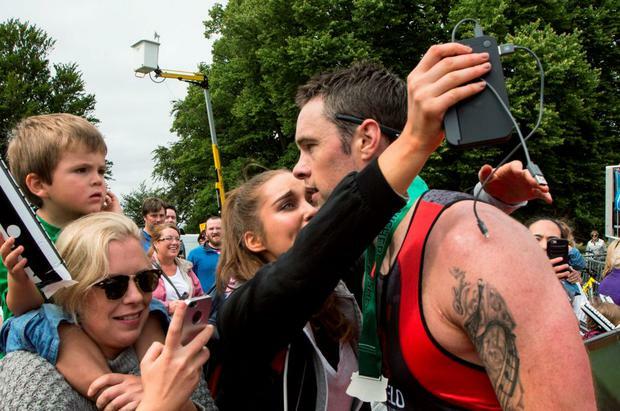 Bressie said he was "delighted" to have finished the race in a time of five hours and seven minutes - but he was lucky to make it out of the water at all after getting a little too close to some of the races other competitors. "I think it was a weird swim. I got so many kicks in the face. I don't know if that is because they don't like me or if that is just the way the swim works," he joked at the finish line. He also paid tribute to the support of hundreds of fans who lined the finishing straight in the Phoenix Park, among them his model girlfriend Roz Purcell, to cheer on athletes from Ireland, the UK, and further afield. "I don't think people understand what that does. I know it sounds cheesy but it actually does (help) because when you're out on the course you can get a bit lonely for so long and then every now and again you come back around you get that little burst of energy from seeing everybody and your family," he added. 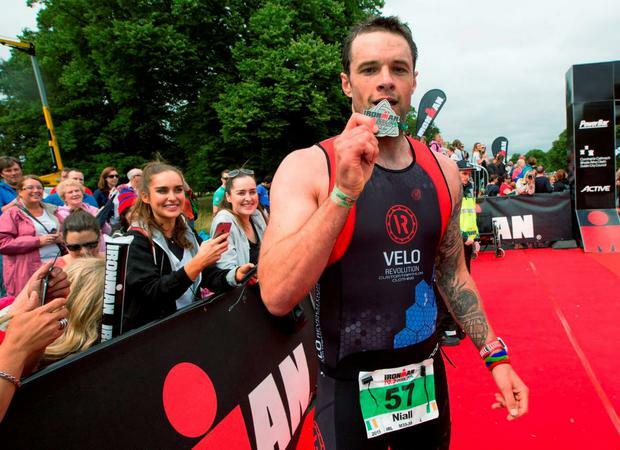 Around 1,500 Irish athletes took part in the race, which is just short of a full triathlon. Organised by Dublin City Council, it was the first time such a race was held here. Kevin Thornton, living in Dublin but originally from Galway, was the first Irish athlete to finish, He did so in a time of four hours eight minutes. He was left to rue a punctured tyre on the cycling section and eventually finished in third place - seven minutes behind the winner Denis Chebrot from France. The first woman home was Susie Cheetham, from the UK, in a time of four hours 27 minutes. Dublin Lord Mayor Criona Ni Dhalaigh said the event "was a huge boost for Irish tourism" and said next year's full Ironman event will attract even bigger crowds.